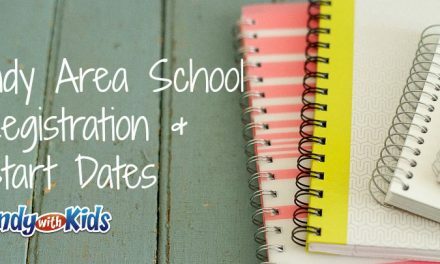 Are you looking for the best splash pad in Indy? Indianapolis has the best splash pads and spray parks! We also probably more splash pads than any city I’ve ever visited. A splash park is typically a concrete pad with motion activated sensors that release streams of water, fountains and mists for kids to “walk” through. Sometimes they are referred to as sprinkler parks or spray grounds. Throughout the day you’ll hear squeals of delight and surprise as the patterns shift and soak unsuspecting children (and adults). Indianapolis area sprinkler parks are unmonitored and without a lifeguard at all times so please be sure to watch over your own kids. My friend Jen loves to have birthday parties for her kids at the splash pad. Go early, grab a table in the shade, bring cake, invite your friends! It’s the perfect party! A concrete slab with fun in-ground water features operated with a motion sensor. Full sun, close to the bathrooms and near a shaded pavilion. Concrete area with several colorful water features, motion sensor to start, fenced in but not fully enclosed, some benches, full sun. A concrete slab with fun in-ground water features that are operated with the push of a button. Bright, colorful water features create this fun, large splash pad. Full sun, close to the bathrooms and near trees with shade and picnic tables. Concrete Slab with a couple of colorful water features, some in ground spray features, motion sensor to start, full sun, some benches, not too far from a covered pavilion. A splash pad on a concrete slab with an ocean and pirate theme. Adorable features both in-ground and above ground create a nice place for all ages to enjoy. Shaded seating available around the sprinkler park but you’ll get wet! The Robert “Bob” Cockrum Spray Grounds in Carson Park is one of our top picks! A concrete slab with artsy, colorful water features with a variety of spray patterns, surrounded by tall grasses. Ankle deep accumulation makes this splash area super wet! Full sun, trees nearby for shade and a nearby pavilion. A concrete slab with beautiful, artsy, colorful water features with a variety of spray patterns. Full sun, a lot of nearby trees for shade, benches for seating and picnic tables in the vicinity. A concrete slab with colorful water features that have a variety of spray patterns. Full sun, some shaded areas nearby, benches for seating and picnic tables under a shaded pavilion nearby. A concrete slab in a small neighborhood park. In ground sprinklers and. This large splash pad is in full sun, and has some bench seating nearby. A concrete slab with fun water features with a sports theme. This large splash pad is in full sun, and has some bench seating nearby. A concrete area that fills with ankle deep water from beautiful, artsy and colorful sprinkler elements. This large spray grounds area is in full sun with a covered pavilion next to it. A concrete slab with many colorful, fun water features in a large area. There are small dumping buckets and several items children can manipulate and spray one another. This pad is in full sun, and has some bench seating nearby. A concrete slab in a small neighborhood park. In ground sprinklers and above ground water elements. This large splash pad is in full sun, and has some bench seating nearby. A concrete slab with several colorful water features in a large area. This pad is in full sun, and has some bench seating nearby. There are shaded trees in an area away from the splash pad, but no shade near the splash pad area. Colorful water features on a large concrete slab in full sun. Push the button in the middle of the drain to operate the in ground and above ground spray features. Dumping buckets, fish water guns and other elements make this colorful splash pad a ton of fun. You’ll find some pavilion seating nearby for shade. A very large flat, checkerboard park with in ground water features and some “rocky” areas with bubbling water features on one end. Surrounded by plentiful bench seating. The entire area is in full sun but is close to a covered pass-through and building that is shaded during some parts of the day. This splash pad was not functioning on two different visits. A concrete slab with fun and colorful water features with a music theme. This large splash pad is in full sun, and has some picnic table seating nearby and some of the tables are in the shade under trees. A favorite park with 2 traditional above ground sprinkler features and a man-made creek area. Some trees with shade in the immediate area, a covered pavilion nearby. A lot of seating in full sun. A concrete slab with colorful and artsy water features. This large splash pad is in full sun, and has bench and shaded seating attached. A covered pavilion area is located in the vicinity and has picnic table seating. A local hot spot in the summer, this cement slab water splash park is full of moving pieces. Dumping buckets and large stationary water “guns” are available for kids to manipulate. Some shade is found at nearby tables with umbrellas, shade sails and a covered pavilion. A cement top area with in-ground water features that surprise visitors with fun patterns and unexpected sprinkles. Located in full sun with shade trees nearby. Some bench seating in the area and a covered picnic area attached. A concrete slab with colorful above ground water features and in ground spray features. Shaded seating areas nearby. Splash pad is in full sun. A pavilion with tables is in the vicinity. 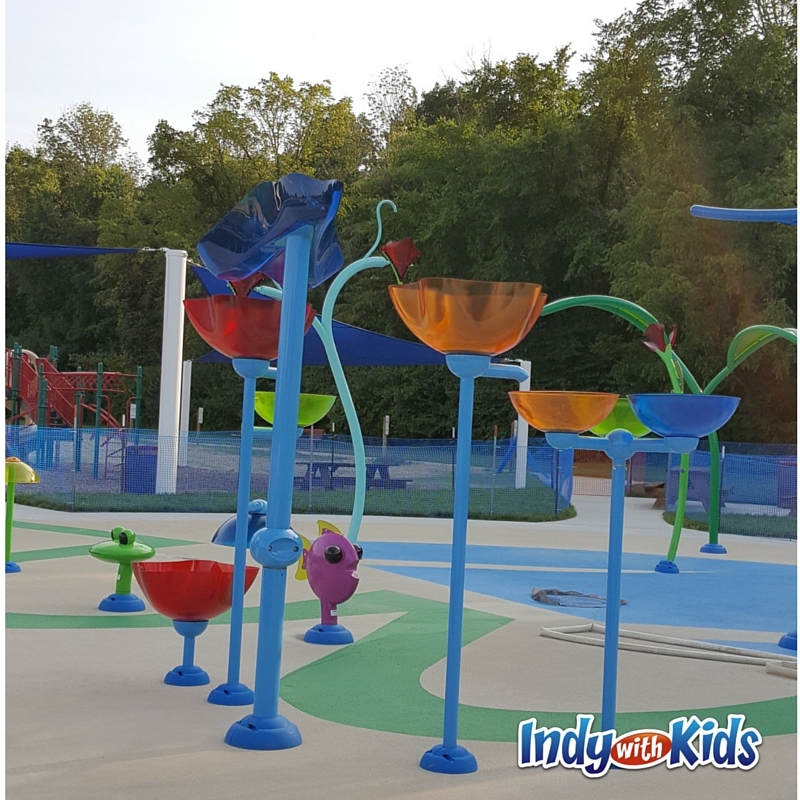 A beautiful, colorful park with a splash pad to match! In ground features and above ground features are operated with a push of a button. Dumping buckets, a tunnel of rings and showers will sprinkle a crowd ready for fun! Three large shaded pavilions with picnic tables provide shelter. There are also shade kites with benches. This splash pad is on a cement slab in full sun. Colorful fixtures spray and sprinkle while in ground features do the same. Some shade during the day. Nearby seating in shade. The traditional splash pad isn’t the best part, follow the water down a man-made stream where there’s plenty of fun! Dig, build dams and make friends in the ankle deep water (a little deeper in some areas). Bring your buckets for even more fun! At Hummel Park, you’ll find colorful above ground features on a cement slab in full sun. Nearby pavilion seating provides shade, as do picnic tables under very large umbrellas.